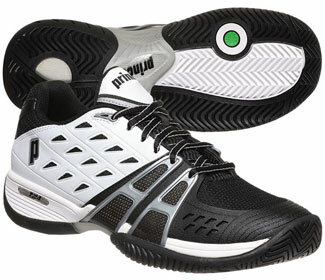 Prince breaks from the conventional tennis shoe design with the introduction of LightSpeed technology. 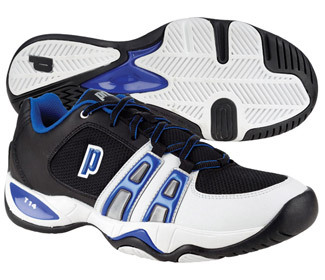 A low-profile silhouette keeps your center of gravity low for great balance and unwavering stability. Built with a Propulsion Plate that redirects energy into the forefoot, speeding up every step for blazing fast speed. 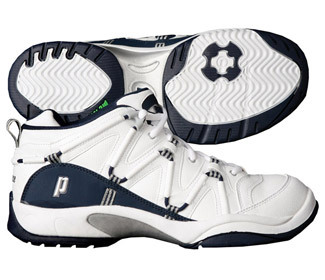 This results in an incredibly responsive, agile shoe. 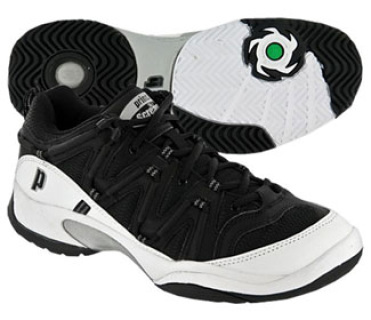 Ultra lightweight, ultra low profile with "Double Last" construction providing excellent stability. The new LightSpeed technology emphasises directional cushioning by utilizing the Shock Eraser Pro heel insert cushion pad that bypasses the traditional midsole to maximize the cushioning effect! The MV4 features a four-piece midsole with medium density Precision Tube Technology and air mesh panels providing optimal cushioning and maximum ventilation. 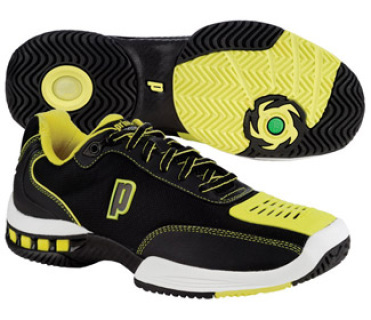 The NFS and Scream series are lightweight, high performance shoes with instant comfort and no break-in period. 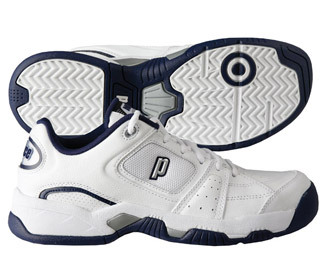 They are built on the Natural Foot Shape (a unique Prince fit) last for a generous fit, especially in the forefoot. This latest version has added mesh panels for increased ventilation and comfort while continuing the tradition of a series that has always provided great comfort, fit and durability! 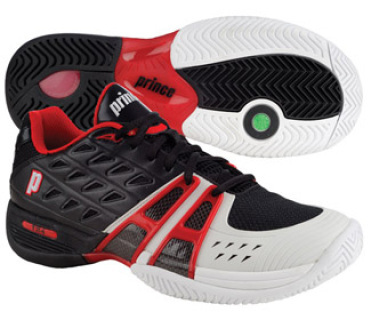 The Prince NFS Indoor ll features a soft gum rubber outsole for excellent traction plus the coupling of the midsole and sockliner offer the maximum high performance cushioning package. The new Viper VI has a contemporary design with the classic Viper fit! 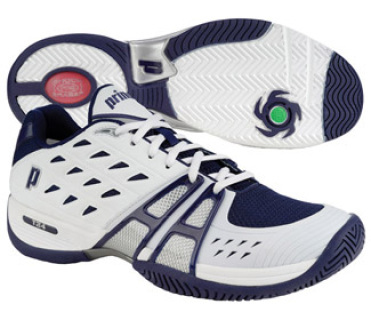 The Viper series is constructed on the Natural Foot Shape last which offers a wider toe box area. 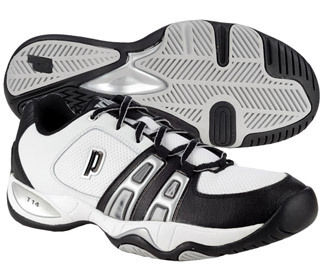 They are instantaneously comfortable with no break-in period necessary. 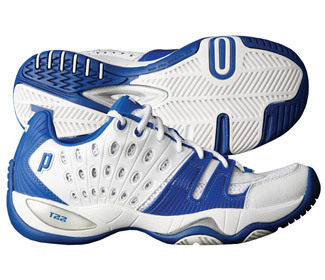 Made for players seeking stability, cushioning and durability. 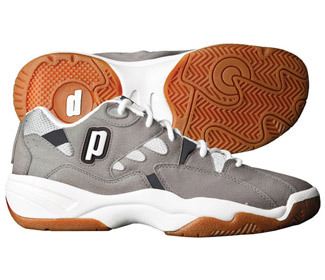 This shoe features a generous fit, especially in the forefoot. Durable PRC1000 outsole provides traction on a variety of court surfaces. 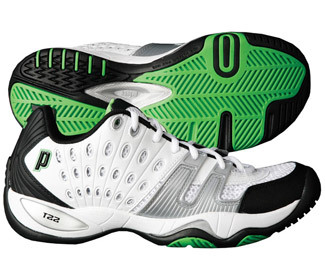 The NEW T-14 continues the T-Series tradtion of durability and stability! 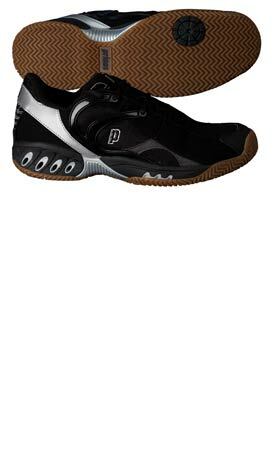 Duraskin II material placed in the forefoot prevents abrasion due to toe drag. 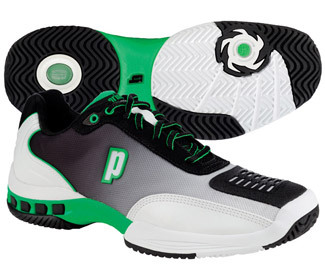 The Shockeraser midsole insert absorbs heavy impact and dissipates shock in the heel. Injected "Wyshbone" TPU shank provides midfoot support and improves lateral and medial stabilty. 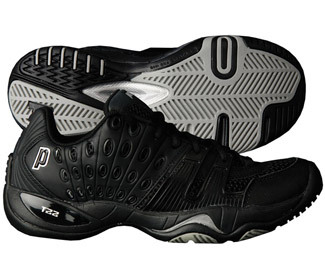 PRC 1000 rubber compound outsole for exceptional durability and traction for long-lasting performance on hard surfaces! 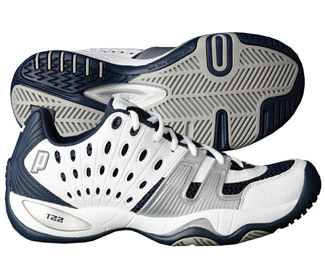 The new T-24 builds on the renowned T-Series tradition of durability and stability. The NEW Duraskin XD forefoot bumper assures superior durability for heavy toe draggers- with a toe box coverage for maximun durability and protection. The fully integrated, injected fiber 4-foot Wrap minimizes weight while providing a lockdown fit, which helps prevent toe jam during on court play. Utilizing these new features, the T-24 is engineered to stand up to the greatest demands of hard court players!